The Color Workshop Nail Stage Collection ($10 @ my local Wal-Mart). *Overall I was super happy, for the $10 my mom spent, I think it was worth it for all these products!! 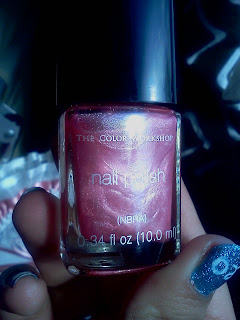 *All the polishes except 1 were all shimmers or glitters, the other one was a creme. 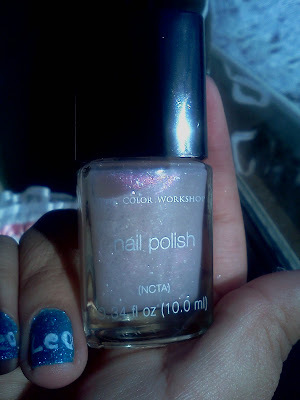 *The french mani polishes worked great, although the white polish was a bit sheer! *This one is my favorite! I love polishes with flakies! *Also one of my favorites! *Alright so I hope you guys liked my review! I will be back to doing mani sometime later this week! & I will try to come up with a new years mani! Bye! *Which polish do you think is prettiest?